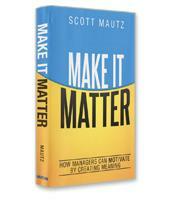 Scott Mautz reveals that fostering meaning at work by giving workers a greater sense of significance is the key to motivation and engagement. 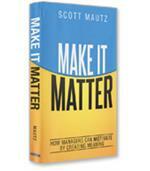 By making work matter, people become more committed to their jobs, which positively influences productivity, products and personal satisfaction. 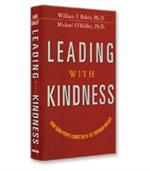 Mautz offers tools and plans to create meaning in and at work. Ben Horowitz tells it straight as he shares insights gained from developing, managing, selling, buying investing in and supervising technology companies. 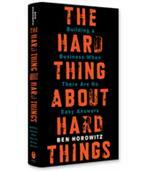 He offers techniques for navigating the struggle of being a leader and explains why you should take care of the people, the products and the profits, in that order. The authors combine research and insights from FranklinCovey to redefine time management in ways that will increase the productivity of individuals, teams and organizations. 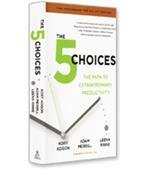 The 5 Choices will empower individuals to make more selective, high-impact choices about where to invest their valuable time, attention and energy. 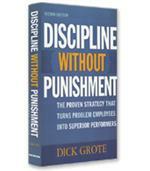 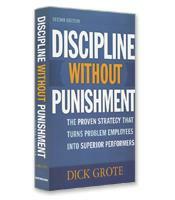 Discipline Without Punishment has become a management classic, helping thousands of companies and managers move to a responsibility-based approach for handling unacceptable performance, problem behaviors, and excessive absenteeism. Coaching has traditionally focused entirely on the individual...sometimes even at the expense of improving measurable business results for the company. 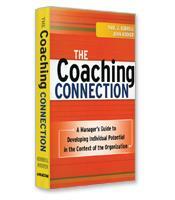 Now, The Coaching Connection shows managers how they can use contextual coaching to simultaneously promote both individual and organizational growth. Far from presenting a naive idea of kindness consisting of the simple give and take of benefits for supposed loyalty, this realistic book shows leaders how they can use sincerity, honesty, and concern to get the most from their people. 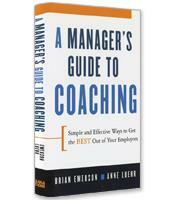 A Manager's Guide to Coaching is a manual that will guide executives through every step of the coaching process, from problem solving to developing accountability.